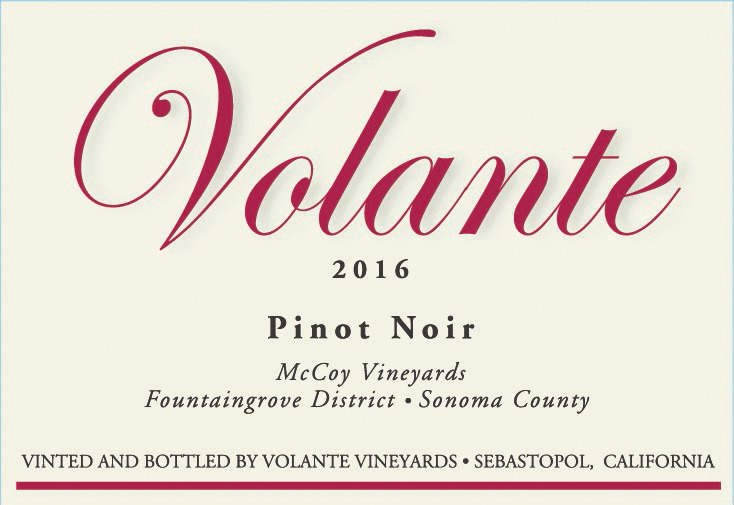 A striking Pinot Noir made from hillside grapes grown at 1300 to 1400 feet. The eye catching color, dense in intensity, sets you up for an evolving aroma of red and black cherries that segue into a mouth filling palate of luscious red cherry. These marvelous flavors persist on a lingering finish that mixes in nuances of slightly sweet char and oak complexities. Only 80 cases produced. This wine received a Silver Medal at the 2018 SFChronicle Wine Competition.